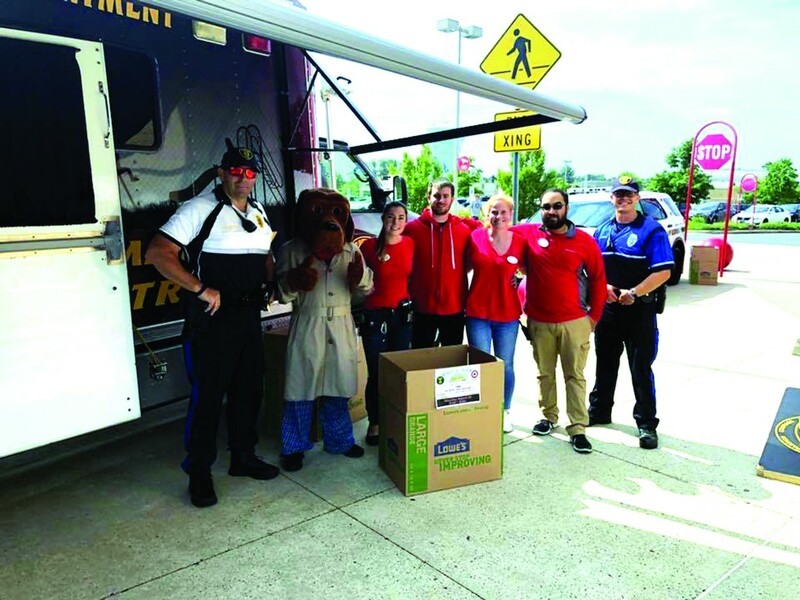 This past week, the Gloucester Township Police Department, in partnership with Target and the Center for Family Services, planned a “Stuff-A-Truck” event to help collect school supplies for community members in need. The event took place on a single day in front of the Target store. However, an overwhelming response by the community led to the event being extended to last an entire week, from Aug. 18 to Aug. 25. The GTPD collected supplies at three locations during the week, including the Target in Gloucester Township, the municipal building and police headquarters. The department prides itself on going the extra mile to be involved on a personal level with its residents. Such a personal connection is also consistently trying to be molded by the township, with unique events for residents getting closer as the summer comes to a close, such as the continuation of the then-new Drive-In Movie Night from last year. Mayor David R. Mayer conceived of the idea for a drive-in movie night approximately two years ago when discussing with his wife what to do one night when they wanted to go out. This year’s movie is “Jurassic World: Fallen Kingdom,” which will be shown at Camden County College on Sept. 29. Activities will begin at 5:30 p.m., including food trucks, a moon bounce, a hayride and additional events as well, with the movie beginning at dusk. Also new to Gloucester Township is its first-ever Food and Craft Beer Festival, which will be held along the Black Horse Pike in downtown Blackwood on Sept. 9, with free admission and live music during the day. All proceeds will benefit the Gloucester Township Scholarship Committee. To help with travel, free parking and shuttle will be available from Highland High School and Blackwood Elementary School. More info on the events is available at www.glotwp.com.